Need the urgent legal representation in Nashville, Knoxville, Memphis or elsewhere? Our award-winning team of experienced Tennessee attorneys have an impressive 40+ years record. At Gilreath & Associates, we know how a serious injury or the death of a loved one through negligence or neglect can be a devastating experience with far-reaching impact on your quality of life. We've spent the past four decades helping thousands of clients receive the just compensation they deserve for incidents of serious injury and wrongful death resulting from personal injury, products liability, car accidents, truck accidents, and medical malpractice. Our record of success in 12 states throughout the Southeast speaks for itself. The skilled, highly experienced attorneys at Gilreath & Associates know how to achieve the positive legal outcomes you need to move on with your life. We also know that compassion counts. We are committed to our clients, and fight for them every step of the way because we genuinely care about your welfare. 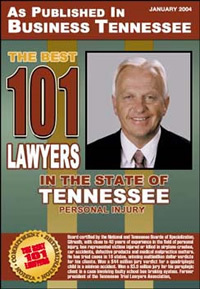 Our founding partner, Sid Gilreath, is recognized as one of The Best Lawyers In America and one of The Best Lawyers in Tennessee. Sid was also presented with the Lifetime Achievement Award at the 2015 TAJ Annual Convention at the The Peabody in Memphis. At Gilreath & Associates, we know how to deliver the combination of legal skill, aggressive advocacy, and concerned support that you need when seeking a fair recovery for personal injury or wrongful death. Have you or a loved one been injured due to negligence? 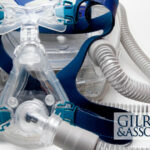 You only have a limited time to file a personal injury lawsuit in Knoxville, Nashville or Memphis. 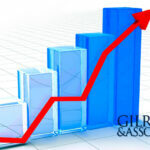 Why Hire Gilreath & Associates? Since the firm's creation in 1973, the attorneys of Gilreath & Associates have been committed to ensuring excellence by continually improving the delivery of quality legal services to clients. We have an impressive record of judgments, verdicts and settlements. Many of our clients are so pleased with our services that they refer us to others in need of legal services. In addition to our client recommendations, other lawyers and firms recommend Gilreath & Associates when a case is outside of their area of expertise. Our Tennessee lawyers handle each case with professionalism, care, and diligence to justify the confidence in our reputation. How to determine who's at fault in a trucking accident? What to do after a car accident in Tennessee? What are Tennessee's motorcycle helmet laws? 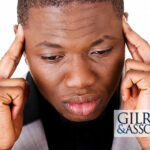 Do I need a lawyer to claim workers' compensation in Tennessee? What are my rights under FELA? What can I do when an insurance company refuses to pay a claim?